446121 Private Anthony Oates, 31st Battalion, the Canadian Infantry (Alberta Regiment) was killed in action 15 September 1916 and is commemorated on the Vimy Memorial, France. He was 28 years old and is commemorated Hamsterley War Memorial, County Durham. 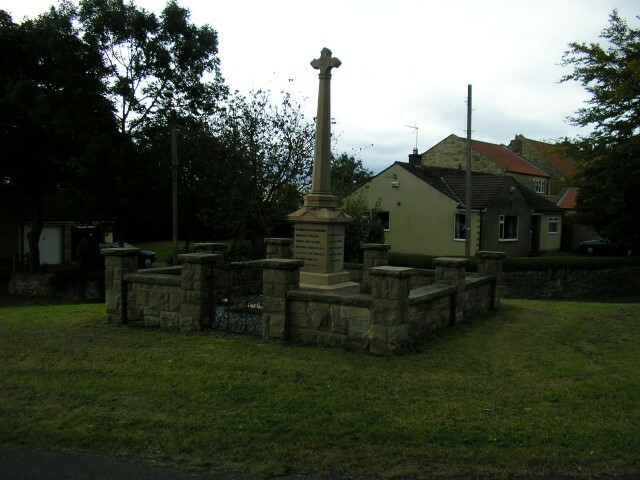 In 1901, 46 year old Thomas worked as a coal miner (hewer) and the family lived at Hamsterley. 26 April 1915: Anthony Oates attested and was posted to the 56th (Calgary) Battalion for the duration of the war. He was 27 years and 3 months of age, 5’9” tall and weighed 160lbs. His complexion was “fair”, his eyes “blue” and hair “brown” with no distinguishing marks. He was an Anglican. He was given the regimental number 446121. 23 March 1916: Private Anthony Oates departed Halifax, Canada aboard “SS Baltic”. 14 July 1916: arrived at unit, the 31st Battalion. The Division moved south to the Somme and took part in the Battle of Flers-Courcelette, 15 – 22 September 1916 during which Private Anthony Oates was killed. The Division then saw service at Passchendaele (1917), the Battle of Amiens (1918) Droqourt-Queant Switch, Valenciennes, Mons and the occupation the Rhine. 446121 Private Anthony Oates was killed in action 15 September 1916, about 2 months after joining his battalion, on the opening day of the Battle of Flers-Courcelette. 15 September: The Battle of Flers-Courcelette commenced and is notable for the introduction of tanks – this offensive employed 12 Divisions and 49 tanks. They proved notoriously unreliable – only 15 rolled onto No Man’s Land at the start of the attack. The BEF and Canadian Corps made initial gains of some 2 kilometres within the first 3 days including the capture of the ruined villages of Martinpuich, Flers and Courcelette and much of the sought after High Wood. However a combination of poor weather and extensive German reinforcements halted the advance and the Allies again suffered high casualties. 22 September: The attack was called off. 2nd and 3rd Canadian Divs. of the Canadian Corps were in action near here. 8 Bde of the 3rd Canadian Div held the frontline south of Mouquet Farm. 7 Bde was in reserve and it was this brigade that was brought up for the attack at 6pm from Sugar Trench. Princess Patricia’s Canadian Light Infantry took McDonnell Trench and the eastern part of Fabeck Graben. You’ll recall that this was the German trench running east from Mouquet Farm to Courcelette. At 6.30pm the 4th Canadian Mounted Rifles advanced and pushed westwards along Fabeck Graben. At 8.15pm 49th Edmonton Bn. took the Chalk Pit and reinforced the two battalions in the old German line. 2nd Canadian Div was astride the Bapaume Road east of Pozieres. The attack here went in at dawn supported by six tanks. 4 Bde attacked on the right flank with 18th (West Ontario) Bn, 20th (Central Ontario)Bn and 21st (Central Ontario) Bn. 6 Bde was on the left with 27th (City of Winnipeg), 28th (North West) Bn and 31st (Alberta) Bn. 4 Bde’s objective was the Sugar Factory roughly half way from Pozieres to Courcelette. The front line was cleared in 15 minutes and by 7am Factory Lane trench was reached and the 20th Bn cleared the Factory. 6 Bde reached its objective by 7.30 am. 28th Bn took a strongpoint on the Ovillers Courcelette track and then moved up McDonnell Trench. They moved beyond Gunpit Trench and established MG posts on the sunken road running from Courcelette to Martinpuich. The six tanks were outpaced by the infantry advance. Of the three supporting 4 Bde, one ditched before crossing the Canadian line and the other two reached the Sugar Factory to find it already taken. In 6 Bde all three tanks broke down in McDonnell Trench. By 9.30am, 6 Bde had inked with 15th Div on its right flank and a German counter attack was repelled. “At 9-30 p.m. on the night of the 14th/15th, the Battalion Headquarters moved to dug-out, shared with 28th Battalion on CENTRE WAY, near Point 77, the remainder of the Battalion following;- A and B Companies taking their positions of assembly with the 27th Battalion and three platoons of “C” Company with the 28th Battalion. The remaining five platoons and Battalion Sections were placed for the night in the TRANWAY TRENCH. At 3.00 p.m. the Battalion Machine Gun Officer (Lieut. P.M. Holdon) moved out with his section and placed his four Colt Guns in positions, in rear of our front line, from which they would be able to move up and occupy it as soon the advance started. The zero hour was fixed at 6.20 a.m. on the 15th inst., and at exactly this time the first wave was seen to go over our parapet, the remainder following as arranged. As my Battalion was very much scattered, I can only give an intelligible account by taking the various parties in detail. Three Platoons of this Company (Mopping-up Party) formed the 2nd Intermediate wave, following the first wave of the attached in at a distance of ten yards. The fourth platoon acting as Carrying Party and following the Reserve Company. The objective of this Company was the GERMAN FRONT LINE, where it was to mop-up and consolidate. This was carried out, a new trench being dug between 30 and 40 yards in front of the OLD GERMAN FRONT LINE. As Major H.M. Splane, the Officer Commanding Company was killed and all Company Officer either killed or wounded, very early in the operations, the Command of the Company fell to Company Sergeant Major G. LAWSON, who carried out the work in a highly creditable manner. “On reaching SUNKEN ROAD we found an enemy communication trench running along the West Bank. No enemy were to be found in the trench or on the road. We then collected all available tools and commenced to make the trench habitable, by cleaning out the debris caused by artillery fire. When this was completed we extended the trench about fifty yards in the direction of COURCELETTE. We then dug a trench across the road, forming a block which gave us command of the road in the event of enemy counter attack. This work was completed about 10.00 a.m. in spite of heavy enemy artillery fire and active sniping. About 11.00 a.m. the Officer Commanding Company was killed by H.E. I then took Command of the Company. The enemy continued to bombard us heavily with H.E. shrapnel, and several times we were compelled to leave the trench and occupy shell-holes where the bombardment was not so heavy. The bombardment continued until we were ordered to evacuate the trench at 5.30 a.m. on the 16th. Conduct and moral of the whole of the men was excellent”. This Company was detailed to furnish two platoons, 1st intermediate wave (Mopping-up Party) and one platoon carrying party. possibility of counter attack. The enemy artillery were fairly quiet at this period and work of consolidation we pushed forward. After working about four hours the enemy began shelling our positions we were digging and I withdrew to German Communication Trench running parallel SUNKEN ROAD flank and from which we were running branch to right. About 5.00 a.m. Lieut. H. Norris D Company ordered that “C” Company be withdrawn to original Junction Off Trench and I gave orders accordingly. At this time the P.P.C.L.I. and 42nd Battalion were passing through trenches to effect a further attack on enemy trenches and the task of withdrawal was a very difficult one as also enemy were putting up a continuous and heavy barrage over ground to be traversed. This was accomplished however without casualties and we remained in Jumping Off Trench until relieved. Our wounded were brought from shell holes to this trench during night and were taken out thus a.m. by Stretcher Bearing Parties. 2 Platoons, D Company, detailed to follow up 27th Battalion and dig support trench. Private A. Oates was killed in action 15 September 1916. He has no known grave. 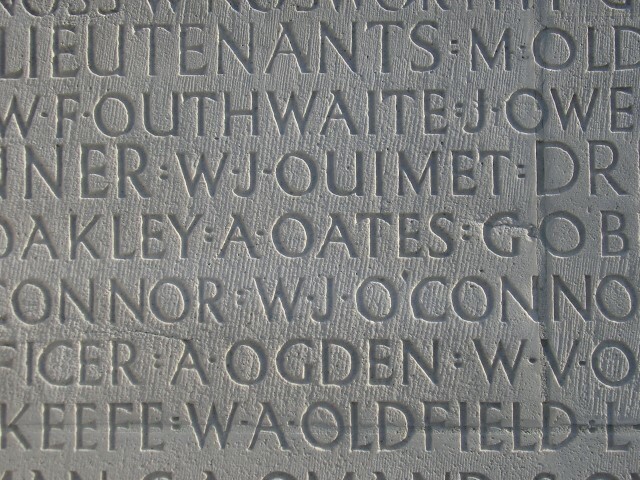 The Vimy Memorial:  Private A. Oates is commemorated on the Vimy Memorial. The Memorial overlooks the Douai Plain from the highest point of Vimy Ridge, about 8 kilometres northeast of Arras. 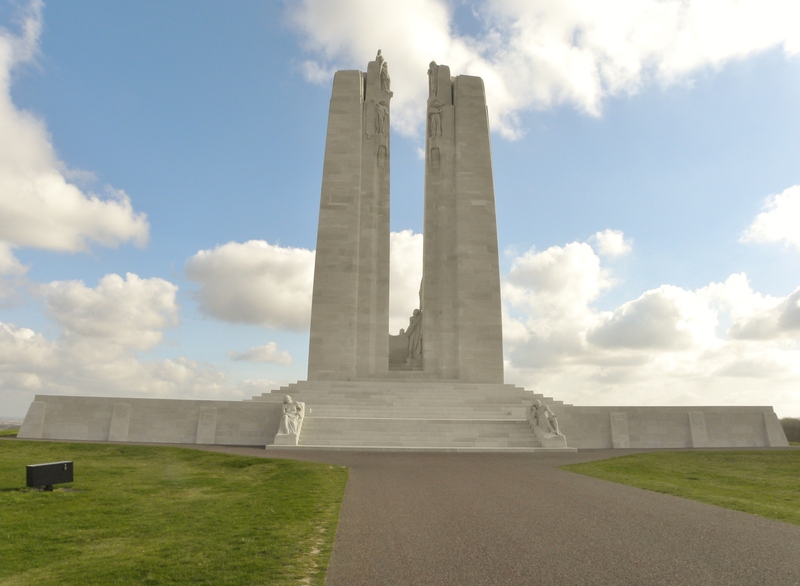 After the war, the highest point of the Vimy Ridge was chosen as the site of the great memorial to all Canadians who served their country in battle during the First World War, and particularly to the 60,000 who gave their lives in France. It also bears the names of 11,000 Canadian servicemen who died in France who have no known grave. The memorial was designed by W S Allward. 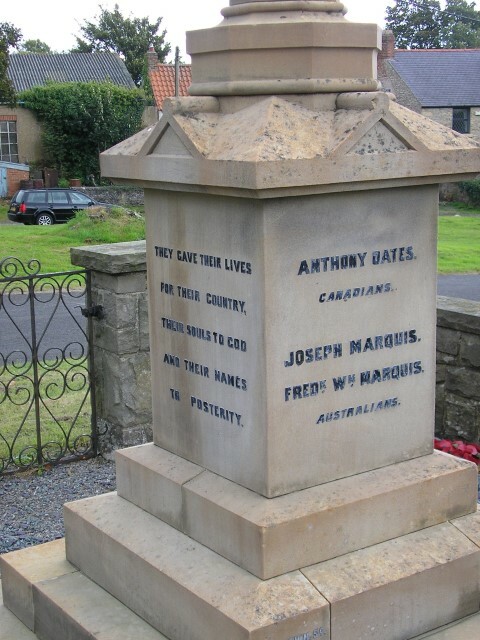 The name of Anthony Oates is to be found on the south western plinth of the magnificent memorial to those Canadians who lost their lives in the Great War. 2nd Canadian Division Memorial:  Located to the north of the Pozieres to le Sars road in the vicinity of Courcelette near to where troops of the 2nd Canadian Division including men of the 31st Battalion fell. The Church of the Redeemer, Calgary:  The 31st Battalion returned to England on 12 April 1919, disembarking at Halifax on 27 May 1919 and was demobilized in Calgary on 1 June 1919. It was disbanded by General Order 149 of 15 September 1920. The 31st Canadian Infantry Battalion was perpetuated by the North Alberta Regiment and the South Alberta Regiment. The battalion colours were deposited in the Church of the Redeemer, Calgary in July 1919. Throughout the cathedral there are memorials honouring men and women who lost their lives in the Great War, the most prominent being the rood screen separating the chancel from the knave which was dedicated 14 September 1919 by the Prince of Wales, Edward Windsor (later King Edward VIII). Across the top of the ornate oak rood screen is inscribed the verse “Their Name Liveth For Evermore” Eccl. 44:14. Memorial tablets either side of the rood screen record the names of those who fell. There are also memorials to commemorate individuals who lost their lives. The 56th Infantry Battalion colours are also laid up in the Cathedral. A total of 4,487 men served with the 31st Battalion and through the course of the war suffered 941 dead and 2,312 non-fatal casualties. England & Wales 1837-1915 Marriage Index Vol.3a p.1137 1913 Q2 Note: Is it possible that a farm labourer from County Durham would meet a woman from Hertfordshire and marry her? Note: 20 October 1911: there was also a passenger recorded as A. Oates aboard the Canadian Pacific Line “Empress of Britain” leaving Liverpool for Quebec. This A. Oates travelled 3rd class, alone and was listed as a miner. Note: There is a Daisy M. Oates with a recorded date of death of 1965 aged 79 (giving a date of birth c.1886 which is in the correct timeframe) registered at Hackney, London. What happened to Frances?